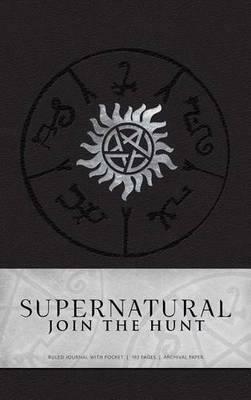 Join the deadly world of Sam and Dean Winchester with this deluxe writing journal based on the world of Supernatural. Sam and Dean Winchester have spent their lives on the road, battling every kind of supernatural threat. With the help of their powerful ally, the fallen angel Castiel, Sam and Dean embark on a lifelong quest to rid the world of evil. Now fans can chronicle their own heart-pounding adventures with this deluxe writing journal, featuring iconic imagery from Supernatural.